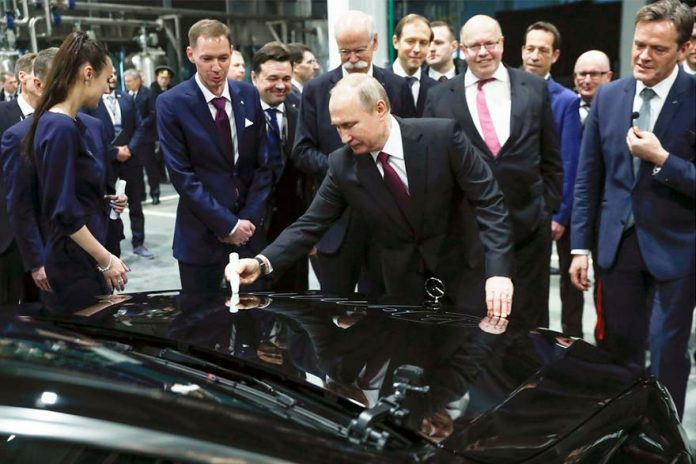 Russian President Vladimir Putin and German economy minister Peter Altmaier unveiled a Mercedes-Benz car plant in Russia on Wednesday, April 3rd, praising co-operation between the two countries. 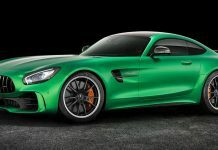 Germany’s Daimler began construction of a Mercedes-Benz plant at an industrial park some 50km north-west of Moscow in 2017, investing more than €250m in the factory. The high-end Daimler brand, which also assembles commercial vehicles in Russia, will produce sedans and SUVs at the new plant. The car maker plans to produce 25,000 vehicles a year there and employ about 1,000 people. “Mercedes cars will be popular with Russian consumers for sure,” Putin said, adding that he has driven a Mercedes. Altmaier, on his third visit to Russia since he became economy minister last year, said the factory is “proof that Russia and Germany can develop their co-operation”. 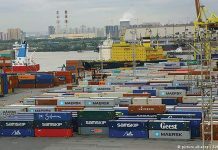 German-Russian trade amounted to €61.9bn in 2018, according to Berlin’s economy ministry. Germany is a major importer of Russian natural gas.